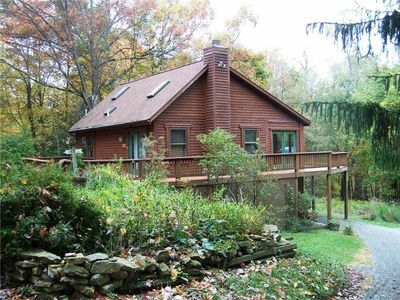 Nimba Cabin is waiting for you! 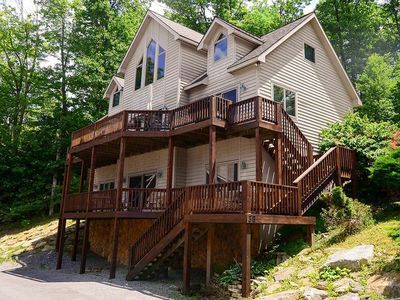 Enjoy this mountain chalet perched on a hill overlooking the valley below! 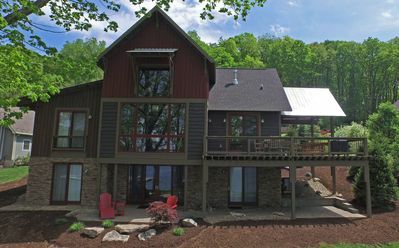 As you approach this unique home relaxation will be on your mind from the expansive views, quiet community, and open spaces, while fun is just around the corner at the Deep Creek Lake access area and all the resort's activities. 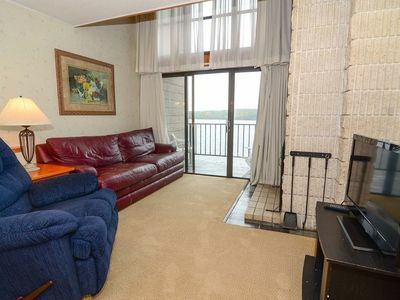 Start your vacation by opening the glass door off of the lower level covered patio to find a nautical dry bar and recreation room with a stunning red pool table, lovely furnishings, TV, board games, and a half bath. Venture up the wooden steps to the intimate main level. A warm stone fireplace flanked by two large sliding glass doors is the focal point of the great room filled with bright, comfortable furnishings and an entertainment center. A full sized spacious corner kitchen with breakfast bar perfect for quick morning meals overlooks the quaint dining area with a majestic view. 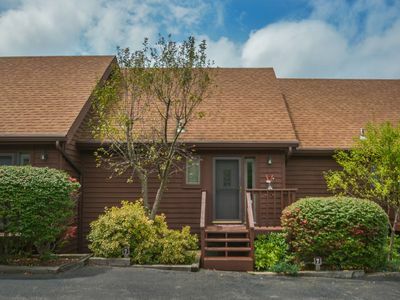 Down the hall you will find a bedroom sanctuary complete with a full bath and sliding glass door access to the wraparound deck. For added convenience during your stay, a powder room and laundry area finish the main level. 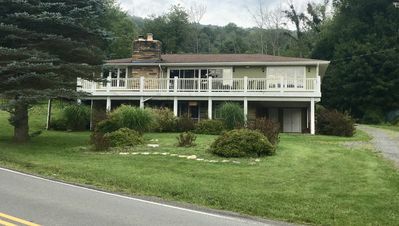 The upper level provides sleeping spaces with two bedrooms, a bonus sleeping area, and two full baths, including an exceptional tile shower with a seat and plenty of natural light. 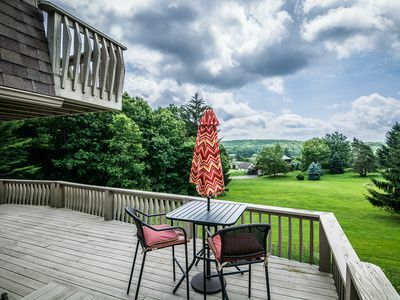 Both bedrooms have access to the balcony for viewing beautiful sunrises over the mountains. 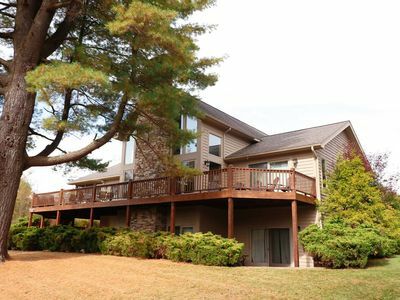 The large wraparound deck has plenty of seating for lounging and reading, or enjoy your meals around the table under the umbrella. 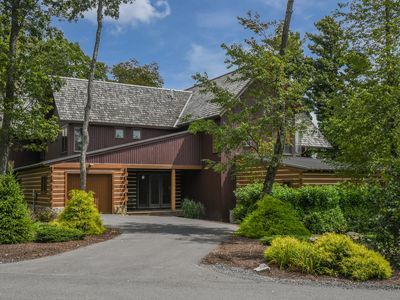 An expansive and slightly sloped grassy yard surround this home to give you the feeling of wide openness with the perfect amount of trees lining the property. 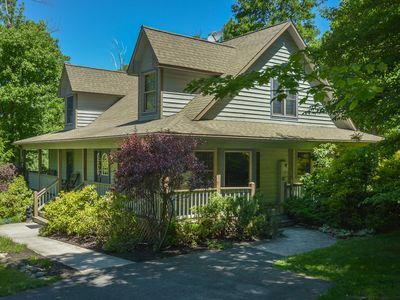 As an added bonus, this home is located in the Paradise Point subdivision which has a beautiful level lake front area with plenty of parking, two pavilions, picnic tables, sandbox, spacious grassy lawn, and a canoe and kayak station just a short drive away. 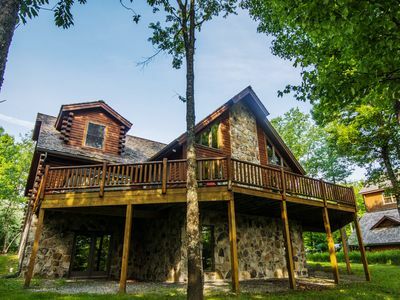 Soak up the sun, wade into the lake from the shore, swim or fish off the community docks, or just take in the beautiful view down the body of Deep Creek Lake. 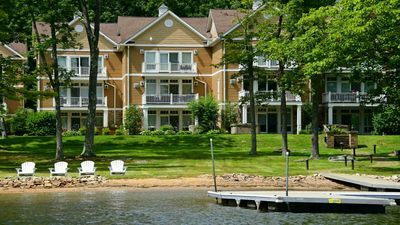 Plan your Deep Creek Lake vacation today, no matter the season there's always a reason to visit! 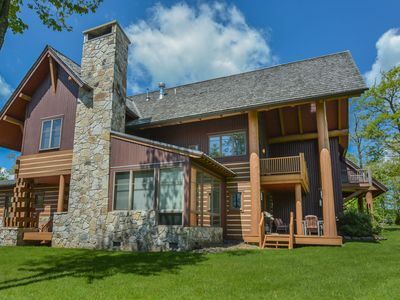 Great Log Cabin Located Near Deep Creek Lake. 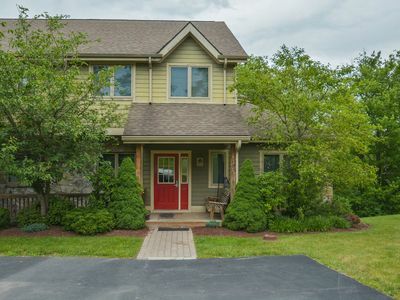 Spacious 4 bedroom home with phenomenal lakefront! 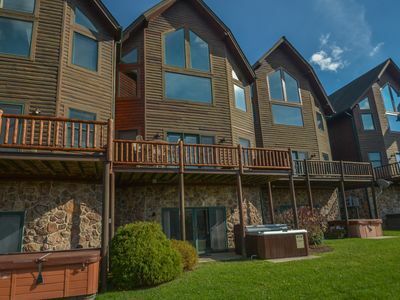 Enjoy lake & ski slope views and a prime location! 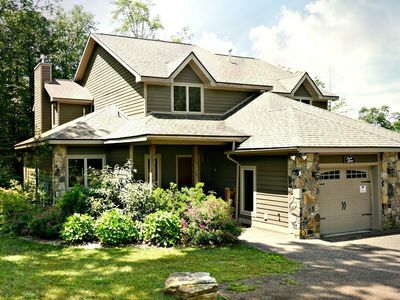 Stunning 4 Bedroom Ski In/ Ski Out home with upscale amenitites! 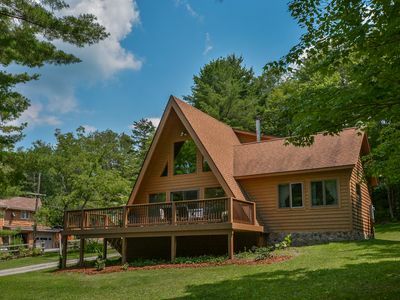 Easy lake access & great outdoor space! 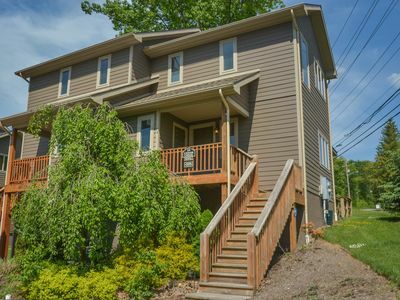 Dog friendly w/ 5 master suites within 5 minutes from favorite activities! 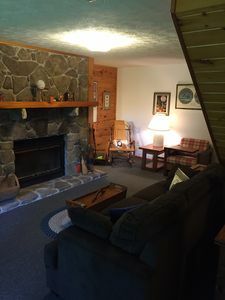 Ski In/Ski Out vacation rental within 5 minutes from area attractions!